MIAMI – For General Motors, the company’s South Florida zone covers a lot of real estate, roughly along the state’s eastern coast from Gainesville south to the Keys. This geographical area, one of two GM zones in Florida, also represents a huge regional market for the Detroit-based automaker. “Florida is our biggest market in the Southeast U.S. and South Florida holds a big share of that,” Carlos Latour, the Chevrolet zone manager for South Florida and the Caribbean, said in an interview at the busy Miami Lakes Chevrolet dealership. Within GM’s South Florida zone, the highly concentrated area that includes Miami-Dade, Broward and Palm Beach counties — or what people outside GM call South Florida — is a wealthy and dynamic market, with a population estimated at more than 5.9 million. 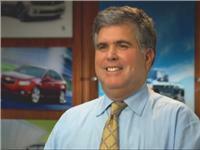 GM has South Florida zone managers for its other product lines: Buick-GMC and Cadillac. In addition, GM has another western zone that covers areas not included in the multi-county South Florida territory. But the Chevrolet division of GM, which also includes Corvettes, represents the largest sales volume for the company. “Chevrolet has been selling cars in Florida for at least 90 years,” said Latour, who was born in Cuba, raised in Belle Glade and lives in Wellington. “We cover 46 Chevrolet dealerships from Gainesville to Key West,” the 36-year veteran of General Motors said. Latour’s team has eight other professionals. They are responsible for visiting all regional Chevrolet dealers, keeping them up to date on new models and features, handling logistics, working with dealers on sales, marketing and customer care and sorting out any problems that may arise. All GM zone managers and their teams work out of different cities in the area, using virtual offices. Aside from direct Chevrolet employees, Latour estimates there are about 4,000 employees at the independently owned dealerships in his service area. Latour also works with Chevrolet dealers in the Virgin Islands and Puerto Rico. To encourage the best sales and customer service practices among dealers and their employees, Chevrolet works with the Disney Institute in Lake Buena Vista, the professional development and external training arm of The Walt Disney Co.
Chevrolet’s business in Florida has been growing briskly. Pickup trucks are the biggest sellers for Chevrolet, both in urban and rural areas. “Silverado trucks account for about 20 percent of business in my zone,” he said. That line is followed by Equinox (about 15 percent) and about 10 percent each for Camaro, Malibu and Cruze. Around 4 percent of sales in Chevrolet’s South Florida zone are Corvettes. Prices for Chevrolets range from about $14,000 for the Spark, to the high $20,000s and low $30,000s for Malibu models to about $101,000 for the Z06 Corvette. To see prices on used vehicles, make sure to look available stock from Used Chevy Dealerships. The Chevrolet division’s parent, General Motors Co., emerged from the bankruptcy and restructuring of General Motors Corp. in 2009 as a smaller, more focused enterprise. Still it ranks as one of the world’s largest vehicle manufacturers. Last year GM, its manufacturing partners and dealers delivered more than 9.9 million vehicles worldwide, up 2 percent from its previous record a year earlier. Deliveries in North America rose 6 percent to over 3.4 million units, and China, a major market, saw deliveries increase by 12 percent, to more than 3.5 million vehicles. In terms of improved gas mileage, he pointed to the 4-cylinder Cruze, which gets up to an average of 42 miles per gallon on the highway, at a much lower price than a hybrid. Chevrolet has even improved mileage significantly for the powerful Corvettes, which get up to an average of 29 miles per gallon on the highway with a 450-horsepower engine. In the highly competitive South Florida zone, Toyota and Honda are still the market leaders, but Chevrolet has been gaining ground. “We’re neck-and-neck with Ford and are gaining market share,” Latour said. One measure of this is the total sales of Chevrolet vehicles, parts and service in the area.